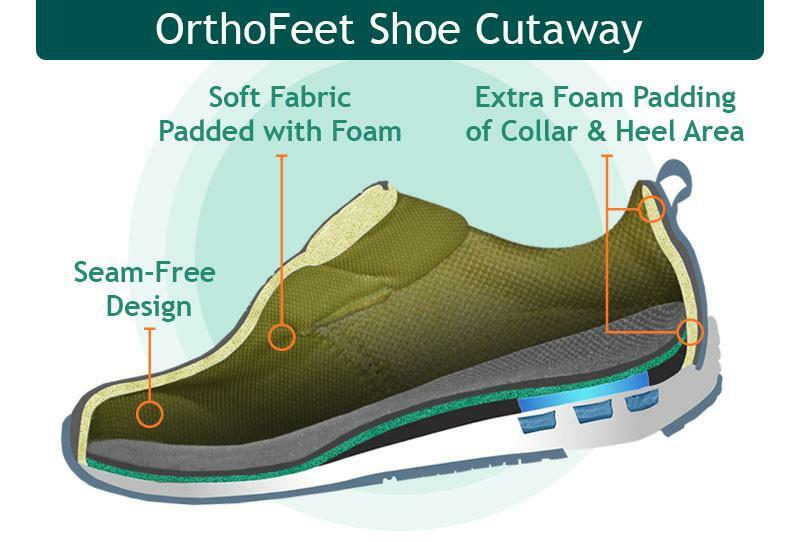 Orthofeet men's diabetic shoes are engineered with soft, non-binding upper and seam free interior. 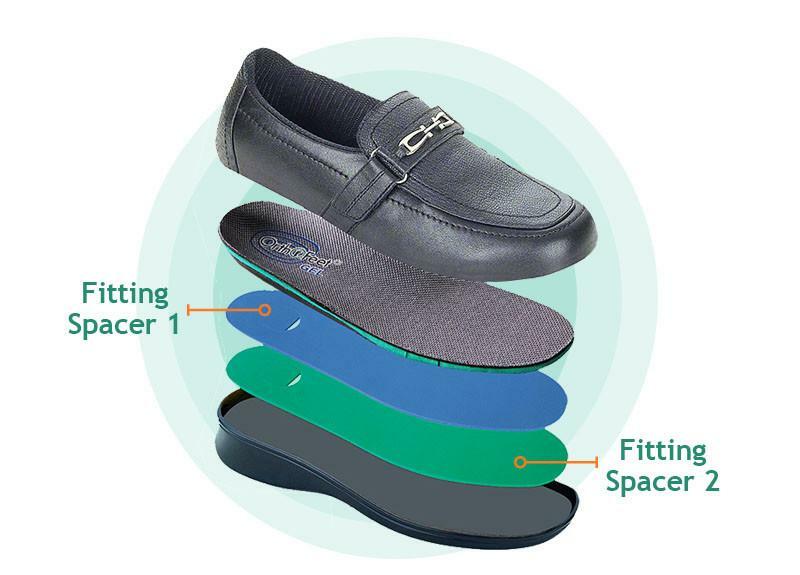 Along with the anatomical orthotic insoles and ergonomic soles these unique diabetic shoes help reduce foot pain , and offer soothing comfort and superior protection . Upgrade to the most comfortable men’s diabetic footwear: Walk comfortable & pain free or your money back! 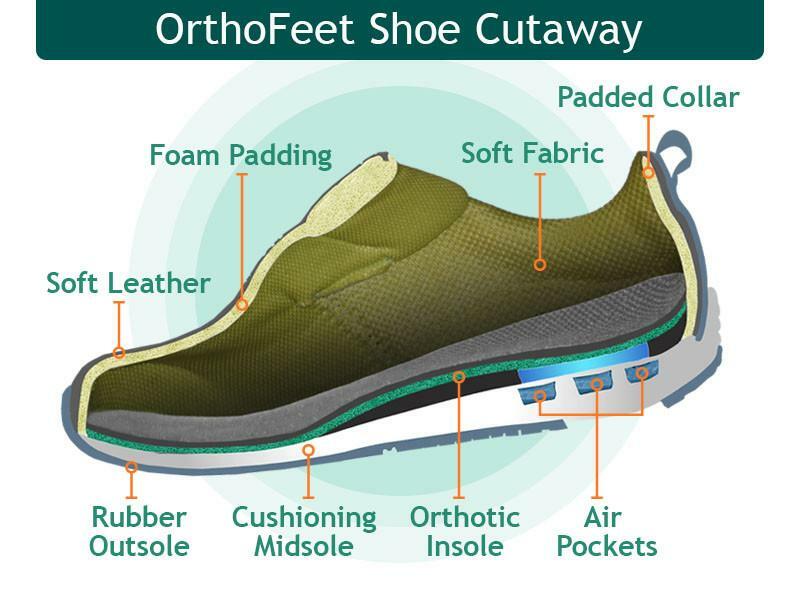 WHY ORTHOFEET MEN'S DIABETIC SHOES? 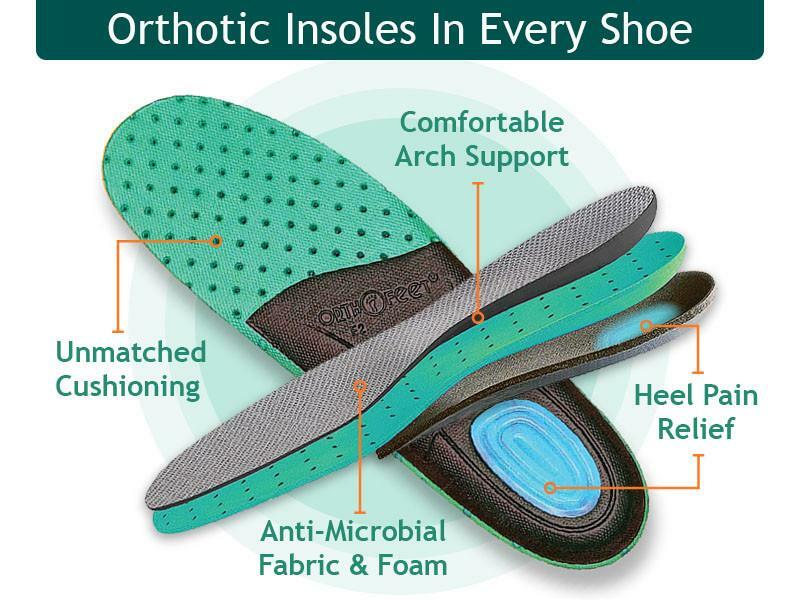 Orthofeet biomedical engineers are the experts when it comes to comfort and protection. They constructed these shoes with unique therapeutic features that have already helped millions of people with diabetes enhance comfort and protection. That’s why Orthofeet is the store to come to when you’re searching for men’s diabetic footwear, whether you are looking for the best men’s walking diabetic shoes, men’s casual diabetic shoes or the best men’s dress shoes for diabetes.
" These are the MOST COMFORTABLE SHOES I have ever owned. I have some diabetic neuropathy as well as a bone spur on the lateral border of each foot. The COMFORT I FEEL after working on my feet all day IS UNBELIEVABLE. 5 stars, AWESOME PRODUCT. " "I'm glad to say I own 4 pair of Orthofeet shoes. They are all excellent. I can honestly say without the Orthofeet shoes, I would not be able to walk. I have Neuropathy, Diabetes and Plantar fasciitis. Really a great, comfortable shoe." - Offers a gentle contact with the foot. - Provides unsurpassed comfort and protection. 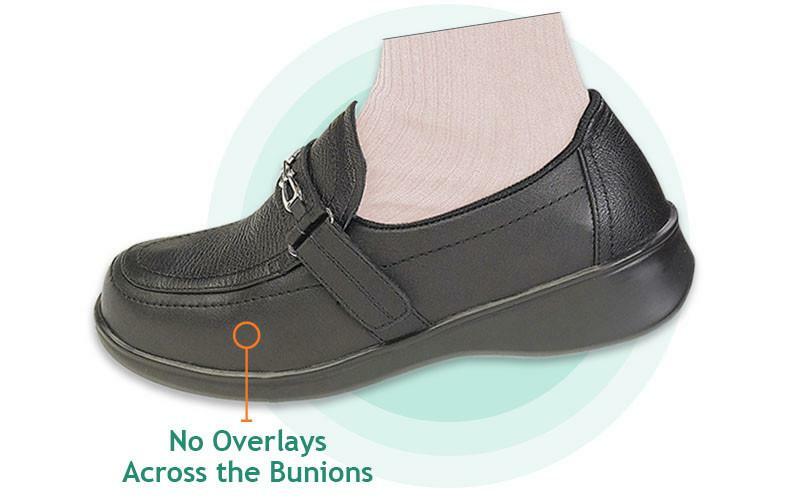 SOFT LEATHER, PADDED WITH FOAM WITH NO OVERLAYS ACROSS THE BUNIONS AND WITH EXTRA DEPTH DESIGN IN THE TOE AREA. - Offers a loose, comfortable fit. - Provides extra room for toe movement. 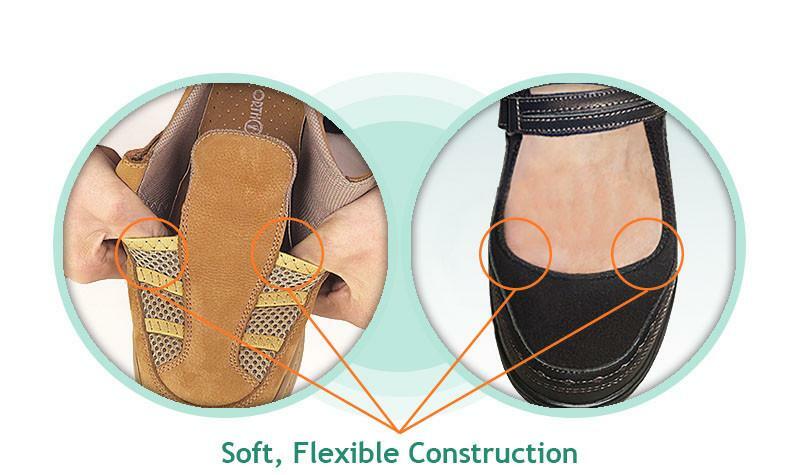 ORTHOFEET IS OFFERING A VARIETY OF SHOES AND SANDALS THAT FEATURE A STRETCHABLE UPPER DESIGN, ALLOWING THE SHOE TO CONFORM TO THE CONTOURS OF THE FOOT. - Offer a loose, customized fit. - Eliminate pressure points on the foot. - Allow to adjust the space inside the shoe for a perfect fit. "I have diabetes and have a lot of trouble with my feet. These shoes feel so good on my feet. I wore this shoe for a number of years and now I have ordered another pair. My order was shipped the next day and I received them in a couple of days. Great service." Employing its expertise in biomedical engineering Orthofeet has designed the BioSoft TM - bamboo non-constricting socks that enhance comfort and protection for Men's diabetic feet. "I have tried so many pairs of socks that were advertised as the best, softest, padded, pain-free Diabetic socks that were horrendous and pain causing… BioSoft are the BEST socks I have ever tried and had for the last 5+ years. I will definitely be buying more." "These socks are terrific socks for a diabetic. Very soft and water wicking too. Fast shipping and free shipping. So pleased that we ordered the brown ones too!" How are men’s diabetic feet treated? Fortunately, most diabetic foot problems can be prevented and treated by wearing men’s diabetic footwear that are specially designed to protect men’s diabetic feet, as well as men’s socks for diabetes, and by following a proper foot care routine. Our innovative shoes for men with diabetes include men’s diabetic sneakers, men’s diabetic sandals, men’s diabetic boots, as well as men’s diabetic athletic shoes, casual shoes, dress shoes and slippers. I have diabetes. They are the best slippers I have ever had since my diagnosis. Great adjustable fit and very comfortably to wear around the house! I highly recommend. I bought these shoes for my husband who has diabetes and suffers from neuropathy. He loves them! They are lightweight, and he can actually walk farther and for longer periods of time without pain. I recommend these shoes without hesitation. -- Gay Grosz: Great shoes! I have some of the worst feet surgeons have seen due to diabetes and rheumatoid arthritis and after multiple surgeries these shoes were recommended. Feet have never been more comfortable in a pair of shoes. I have type 2 diabetes. This the first shoe that is wide enough at the toe area that gives me a comfortable walk. Will continue to purchase my shoes at Orthofeet in the future. Very comfortable !! Suffering from neuropathy, diabetes, and swollen legs, ankles and feet finding a shoe to fit is a challenge in itself. However, OrthoFeet solved my shoe problem with its Velcro solutions to expand the shoe to accommodate my ever changing circumstance and better yet, with total comfort. Finding this slipper like shoe was a G-d send! I appreciate these shoes every day. Thank you.